Stevenson, a leading labor economist and former chief economist at the U.S. Department of Labor, points to employment trends in two industries: manufacturing and services. The goods-producing sector once encompassed nearly half of private sector jobs, but now comprises just one in six American jobs. In contrast, the service sector has “more than made up for the losses,” writes Stevenson, referring to the more than nine million jobs added in education and health services over the last twenty years. “Problem is, the new jobs are in occupations held disproportionately by women,” argues Stevenson. This trend, and the severity of job losses in male-dominated occupations, results in fewer men today working than in the past. "Lower-skilled men don’t seem to want service jobs,” writes Stevenson, even if service occupations promise higher wages and greater job security. Why? As our economy has pivoted “toward work that requires less strength and more kindness,” our culture hasn’t, argues Stevenson. 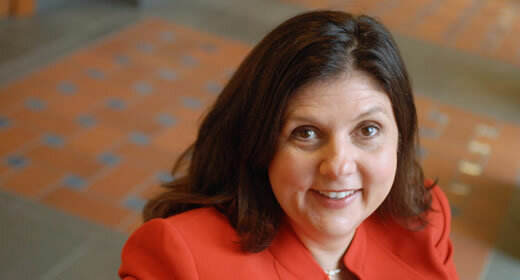 Betsey Stevenson (@BetseyStevenson) is an associate professor of public policy and economics at the Gerald R. Ford School of Public Policy. She served as an appointed member of the White House Council of Economic Advisers (2013-2015) and as chief economist of the U.S. Department of Labor (2010-2011).